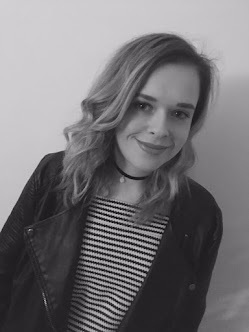 This is a slightly different post to what i usually blog about but i thought it would be perfect to share with you. 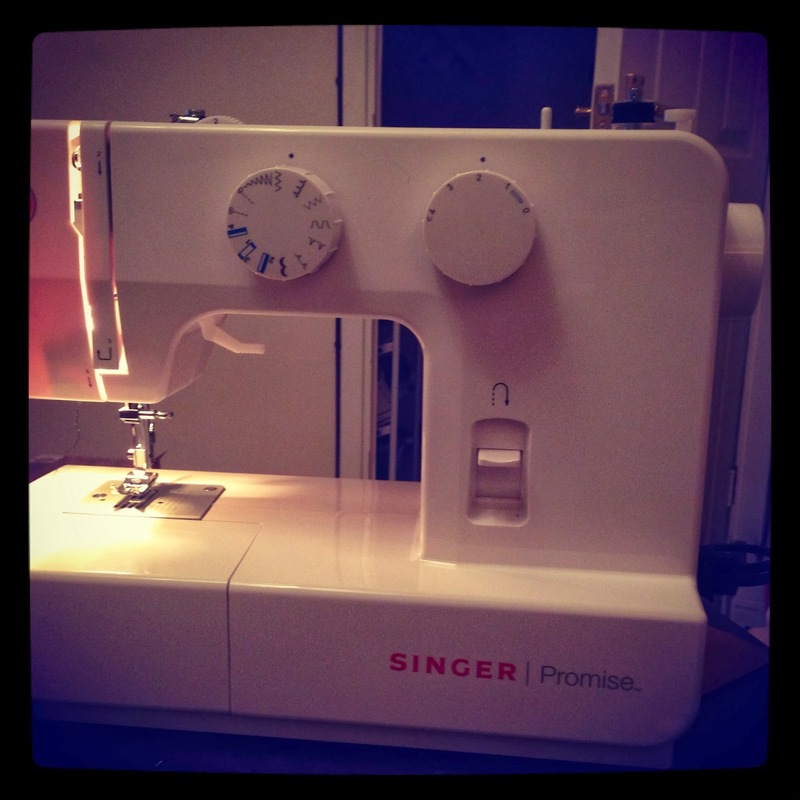 My sister has recently started making and making alterations to clothing and to accessories. It is early days but in a week she has come along way, she has made some beautiful creations. I love homemade gifts, i think they show someone has made some real effort into the present and it has been thought about. 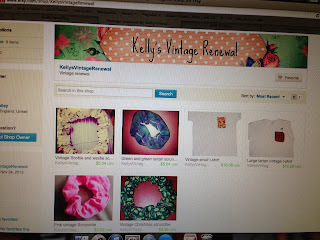 So if you are unsure what to buy a loved one this Christmas then you should have a gander on my sisters Etsy shop. So this is her new baby, she has spent hours already working on projects and getting ideas together. My cat Frank seems to like it too! I think he wants a lesson in sewing or he just likes playing with the wool. She has been using this hidden gem, my nan found this in her back room. 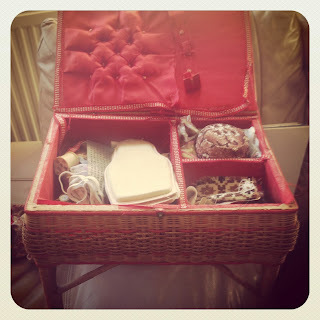 It was my great Nan's it is so cute it has different compartments and sections for material. It is on legs so it can be right next to you when you are working. 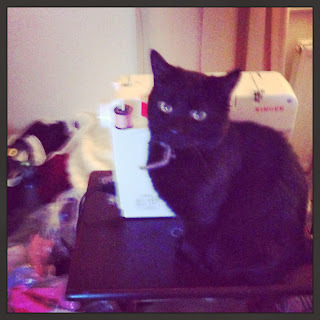 It also makes a perfect seat for the cats to sit on and watch Kelly make her crafts. 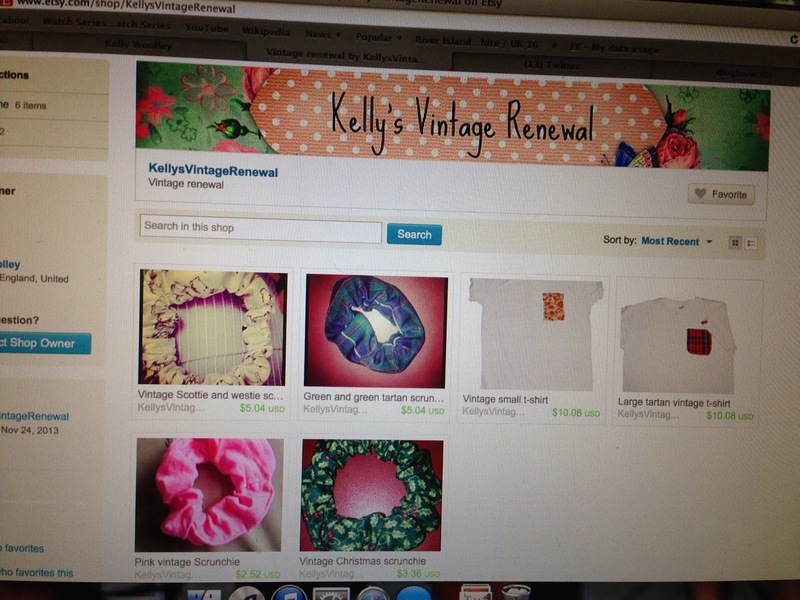 This is the Etsy page, at the moment she only has a few pieces but she is looking at making more personal products. So if you are wishing to have a t-shirt in a slightly different way then she would be happy to do so. If you have a questions then do not hesitate to contact me by leaving a comment or by contacting Kelly on Twitter.